Our service men and women are among the best that our country has to offer. For decades, our sons and daughters have served their country and sacrificed for us. Often, to the extent of giving their lives to ensure our freedom. As a result , our surviving warfighters have suffered, and are still suffering, from the injuries of war, both physically and mentally. And, the VA and our government have not been the most accommodating in helping them heal and move away from the pain and suffering that has, in many cases, become a daily struggle for many of them. It’s easy to understand the pain caused by visible injury. Sometimes though, injuries can be completely invisible. These types of injuries, the injuries that cause us paralyzing depression or uncontrollable anger, are often misunderstood and minimized by many around us. But, it’s these kinds of injuries that lead our vets to divorce, loneliness and suicide. Many, many vets with war injuries, both physical and mental, have reported that cannabis has not only alleviated their symptoms, but has often even saved their lives. Yet, at a federal level, cannabis continues to be illegal, causing many of these vets to have to treat their symptoms in secret, just to stay alive. This is a serious affront to our men and women that have fought and sacrificed for our country. When something is so effective as to not only heal, but save our vets lives, we have an undeniable responsibility to allow them untethered access. Cannabis has long been known to reduce stress, relieve pain and anxiety and even cure cancer. But more importantly for our vets, it can act as an antidepressant that promotes sleep and can reduce the nightmares that are common to many of our warfighters. You hear it all the time. Cannabis needs to be more closely studied and researched before we allow widespread use. Well, I hate to break the news to you, but this is one of the oldest medicines in the world and it’s been tried and tested for hundreds, if not thousands of years. It’s time to cut the crap, remove this plant from the controlled substances schedule and allow not only our warfighters, but anyone of legal age to use it. If you have severe pain….you should be able to use cannabis. If you have uncomfortable periods…you should be able to use it. If you have insomnia, headaches, depression…or PTSD…you should be able to use cannabis. Mr President, members of the House, members of the senate. Right now is the time to legalize marijuana. Right now and not a minute longer. 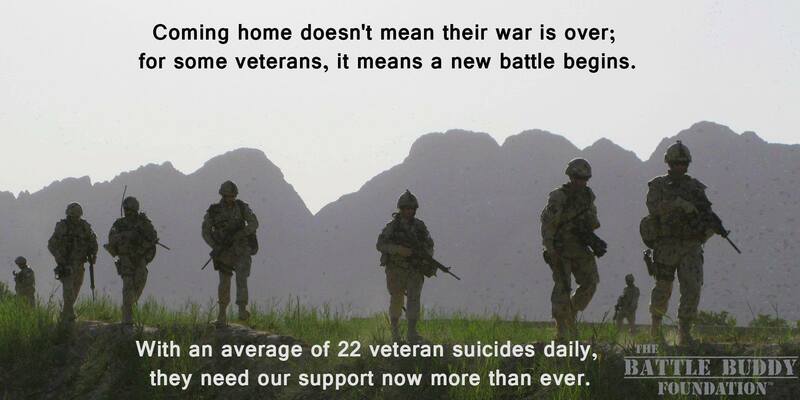 Because, with each day that passes, were losing as many as 22 more of our veterans. Truly the best of the best. And, we’re letting them down. We’re letting them die. Let’s stop the lies, stop the misinformation and let our vets use the one medicine that will allow them to climb out of the foxhole and re-integrate with their families and society. We owe this to them. Here is a very compelling video of an American Legion Press conference reinforcing the Legions support of Medical Marijuana use and research for veterans. If you can’t watch the whole thing, fast forward to the testimony of the two wounded veterans and surviving mother of a veteran that died at the hands of opioids.